click on the pic for true scale that eagle feather is huge! what about that eagle feather!!!! Friendship is sacred, the best of the best. 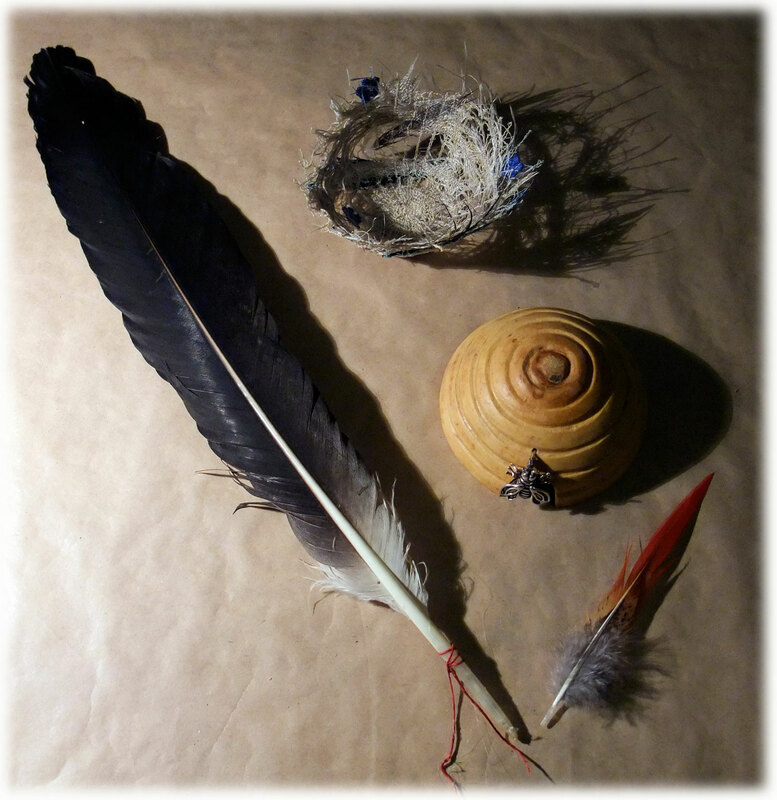 Gourd, feather, and nest on an alter attest. beautiful words Michelle thank you! I’d forgotten that old round, Mo, but it is so true. We would be very poor without our friends, both old and new. Your gifts are beautiful and so meaningful – just lovely.